Being a teacher isn’t an easy job by any means. It’s hard work keeping hyper students engaged in classroom material and ensuring that each child truly understands what is being taught. It’s not all fun and games. However, games do play a huge part in learning. Curious to know how? Well, we’re about to tell you! As you can suspect, each individual has a different learning style as no two people are the same. This is especially true with young children who are continuously growing and are experiencing new situations, thoughts, people and objects every day. If you’ve heard people say that they’re more a visual learner or learn by hearing things, then you’re aware of two learning styles. However, according to Teach.com, there are two other styles to be cognizant of. Visual Learning: People who fall under this learning style typically absorb information by visually seeing the concept or idea. The use of images, graphs, maps are highly effective in understanding new ideas. Auditory Learning: The involvement of sound or verbally explaining new concepts is ideal for auditory learners. These individuals prefer to listen and speak to grasp a concept, so group and classroom settings, along with lectures are favorited. Reading and Writing Learning: Do you know people who are avid notetakers? That’s because their learning style is focused on the use of words. The use of connecting unfamiliar ideas (and abstract concepts) onto paper as recognizable lettering is their learning strength. 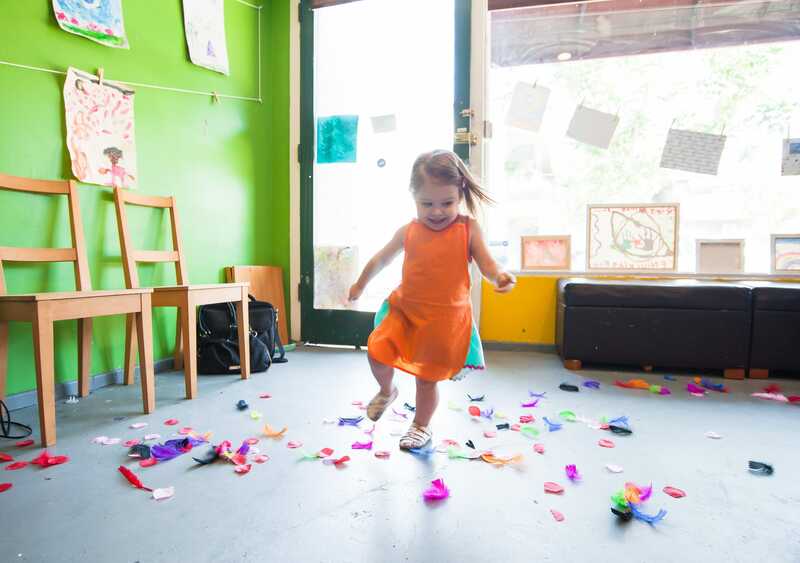 Kinesthetic Learning: This style is best recognized as hands-on learning. People that respond well to this category comprehend information through “tactile representation.” For example, for a kinesthetic learner to understand how to use a manual pencil sharpener, they have to physically study and use it, not just hear or see it. Obviously, each style is noticeably different as they focus on a different human sense in each (visual focuses on sight, auditory focuses on hearing.) Family Education reads that 40 percent of school-aged kids remember what is read or seen, while 20 to 30 percent recalls what is heard. Naturally, no classroom full of children learn under one learning style. Therefore, it’s important to understand and adopt each style into every classroom. At some point, every kid tests their limits to experience what they can and can’t get away with. However, there is a very controlled tactic to introduce young ones to new situations and teach them how to sympathize with others around them: role-playing. Pretending to be someone else and dressing up, or simply acting out a specific scenario can help keep students engaged and entertained. However, it’s also said to help realize model behavior and develop necessary skills, along with requiring focused observers. Walking your class through the steps of sharing supplies such as a stapler and showing them how to kindly wait their turn is a lesson that can be taught through role-playing. Other benefits? Role-playing encourages the use of imagination and express creativity through storytelling. The increased use of social media and technology can be a headache for teachers who are always struggling to maintain kids’ attention. Incorporating classroom-friendly video games switch them from becoming a mere form of entertainment to useful educational games. Video games are especially useful in teaching visual, auditory and kinesthetic learners. Rubicon.com explains how a simple mainstream video game such as Minecraft requires creativity and provokes thought in building and problem solving from the ground up. 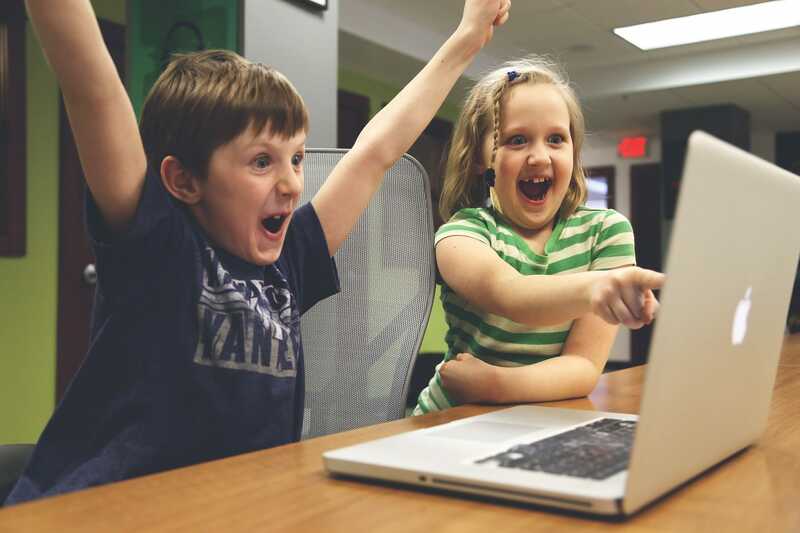 In short, video games can help kids deal with losing, decision making, character development (much like role-playing), and working through various challenges that can be applied to real life. It molds another level of their social skills while learning required academic material. While the benefits are loaded, this type of gaming should have a limit as it’s pure screen time. This option is particularly ideal for rainy days or calming down nerves and energy of students. Maybe the most important classroom games are those that invite students to truly use their minds and critically think. That means observing, analyzing and applying information to form a solution, judgement, or action. Games that make kids slow down and think are the best kind as it exercises the mind. Sudoku puzzles and a simple game of tic-tac-toe may seem straightforward to some, but it requires strategic planning. Take a look at our free printable classroom games that you can easily add to your list of education games. Better yet, let creating a game become a game. Have students build and create their own board games to then be played with everyone. Encourage them to write out specific rulebooks, using as many vocabulary words to school supplies as possible. It’s another example of learning how to build something useful from the ground up. Without games, school for children (and teachers) would be boring and ineffective in terms long-term learning. Class would be filled with worksheets to fill out and notes to take, which as we’ve learned isn’t the best learning style for everyone. Making learning fun with educational games and activities will help keep everyone involved, engaged and entertained while developing essential skills not taught on paper or in a book. Have a unique classroom game you’d like to share with everyone? Leave a comment below! 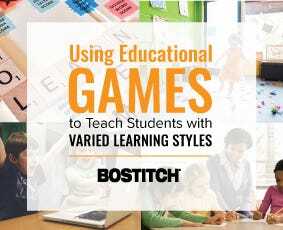 How have you incorporated games into daily learning? Enter the Bostitch Creativity in the Classroom Grant to submit your own original lesson plan for a chance to win a $250 grant! Bingo is a great simple game that can be used in classrooms very effectively. It can be customized for any subject/topic.